It was good to be back into it after a great Christmas break and we were all looking forward to going racing for the first time in 2017. 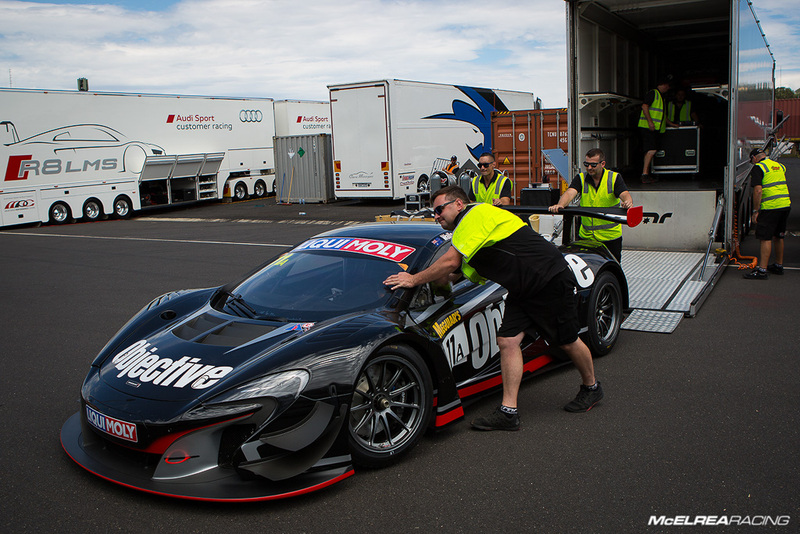 After running a Porsche for David Calvert-Jones (CJ) in 2013, 2014 and 2015 and Tony Walls in the Objective McLaren in 2016 we were running two A Class cars for the first time. 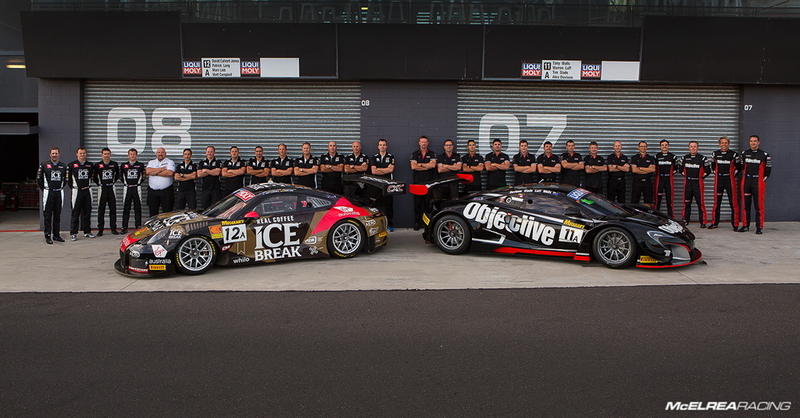 For 2017 the driver line-ups were Tony Walls, Luffy, Tim Slade and Alex Davison in the Objective McLaren plus CJ, Pat Long, Marc Lieb and Matt Campbell in the Ice Break/ Virgin Australia Porsche. Needless to say team manager 'Lethal Leigh' Geyer started planning for this campaign over 6 months ago so we went back to 'the mountain' feeling confident that we were as well prepared as we could possibly be. 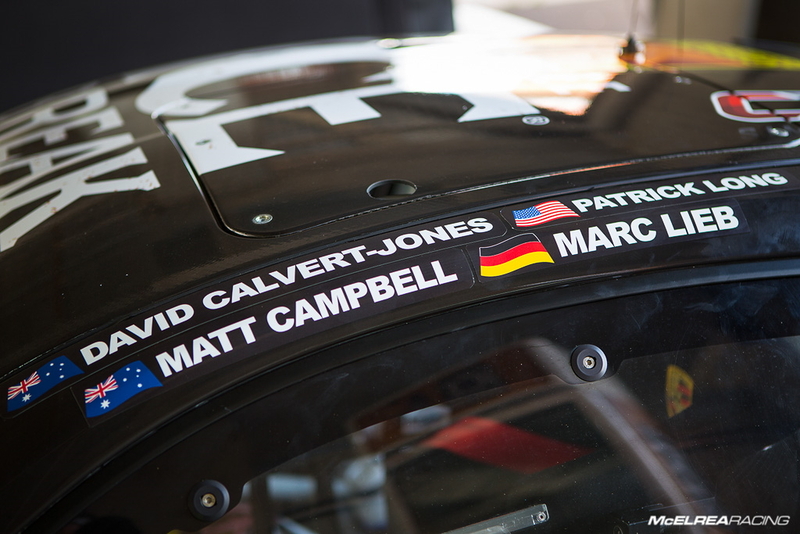 Despite it being a last minute decision to join the Porsche driver line up, it was nice for MR to run Matt Campbell one last time, and only a few days before he heads off on his European adventure! 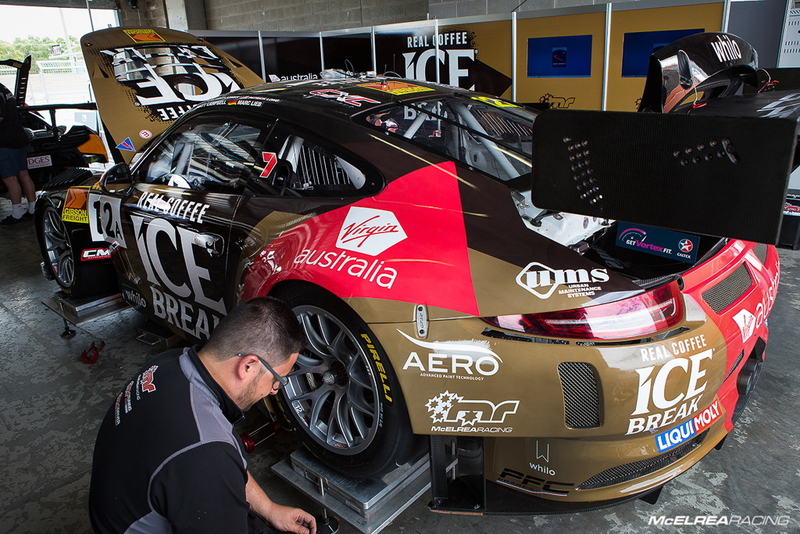 The Ice Break/ Virgin Australia Porsche entry was supported by international Porsche racing specialists Stefan Pfeiffer and Andrew Gregory and was prepped in America by Bob Faieta of Competition Motorsports. The McLaren had just had a body shell after it's accident in New Zealand in November and was immaculately prepared and presented. 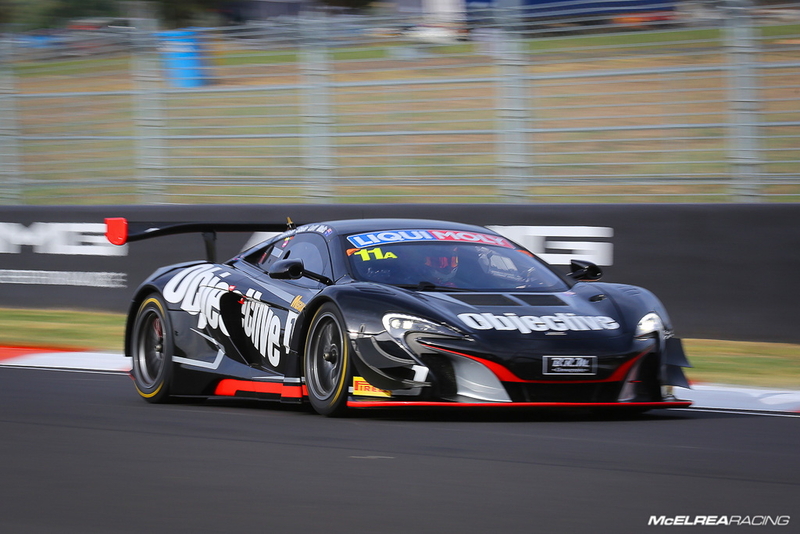 After running frequently in the top five, qualifying was a surprise when Luffy reported a heat related loss of power leaving the Objective McLaren in 18th after qualifying. 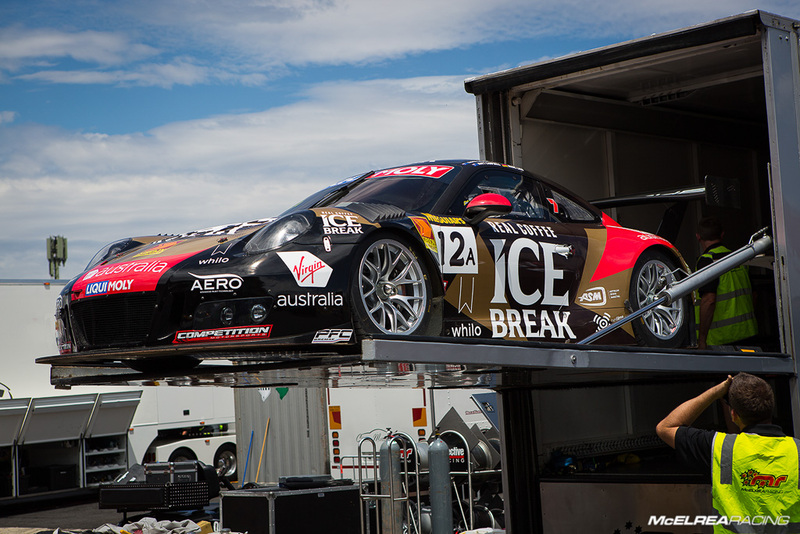 Matt Campbell impressively qualified the Ice Break/ Virgin Australia Porsche 8th in the top 10 shootout. Both cars survived the first hour starting in pitch dark at 5.45 am, however the Objective McLaren developed an alternator issue around hour 3 and lost 18 laps. Wallsy took the wheel once the car was repaired. After a double stint to start the race Matt handed over to CJ who had a tumultuous stint with time behind the safety car and an argument with an Audi earning us a drive through. 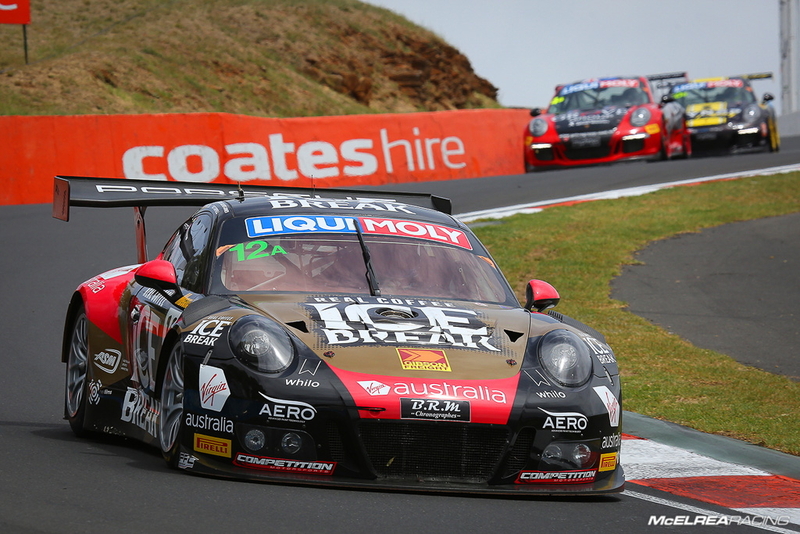 Marc Lieb took over and completed a faultless double stint running around 6th but most crucially, on the lead lap before handing over to fellow Porsche works driver Pat Long. 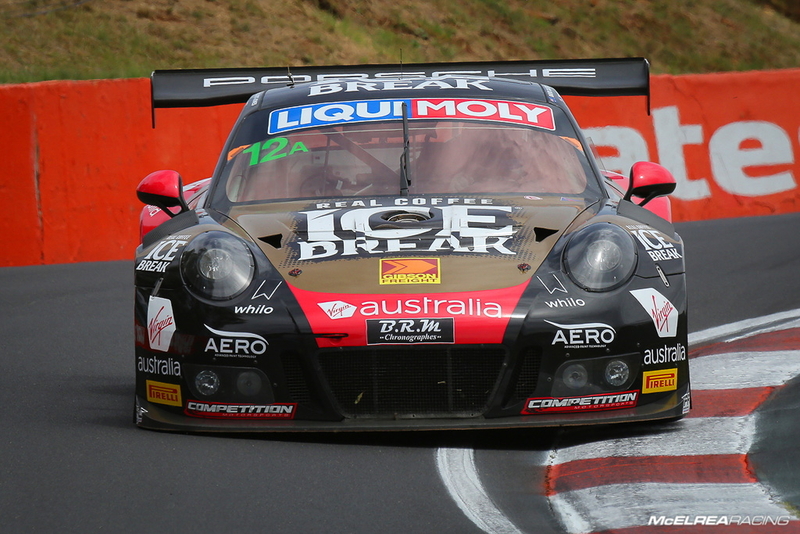 Just before the halfway mark, Pat handed the Ice Break/ Virgin Australia Porsche back to Marc who consolidated our position in 3rd outright and 1st in class and just let the laps tick by. After Wallsy completed his first stint he handed over to Tim Slade. 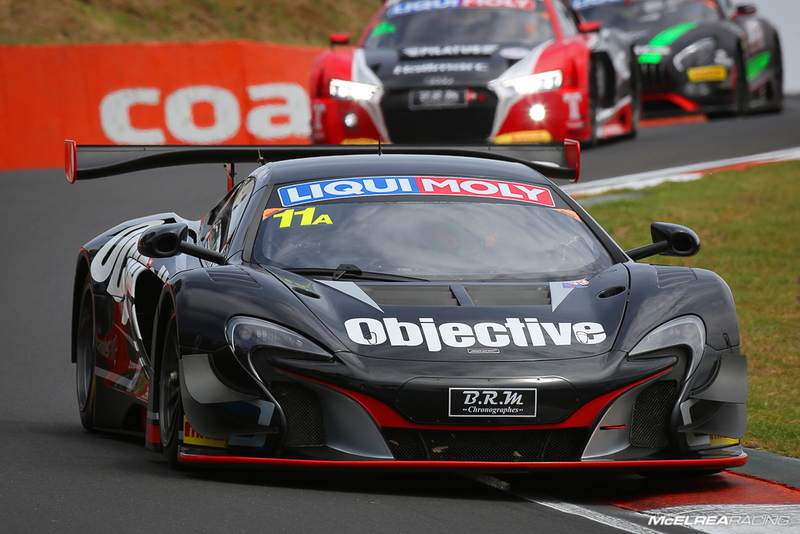 Around the 9 hour mark Tim handed the Objective McLaren over to Alex Davison. After 10 hours of racing the Objective McLaren driven by Alex was stalking the Pro Am cars ahead. 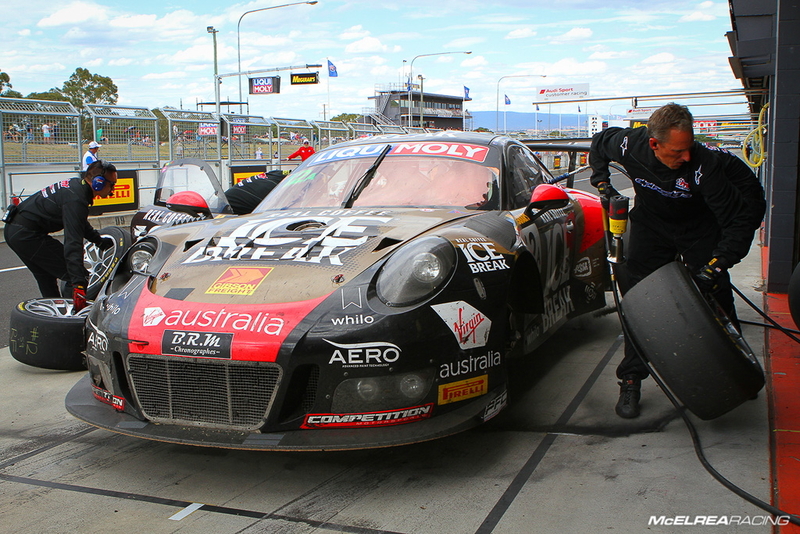 Alex reported a strange handling characteristic with the car which was later found to be caused by a damaged tyre. At this point we were running 5th in Pro Am with our focus on a podium finish. 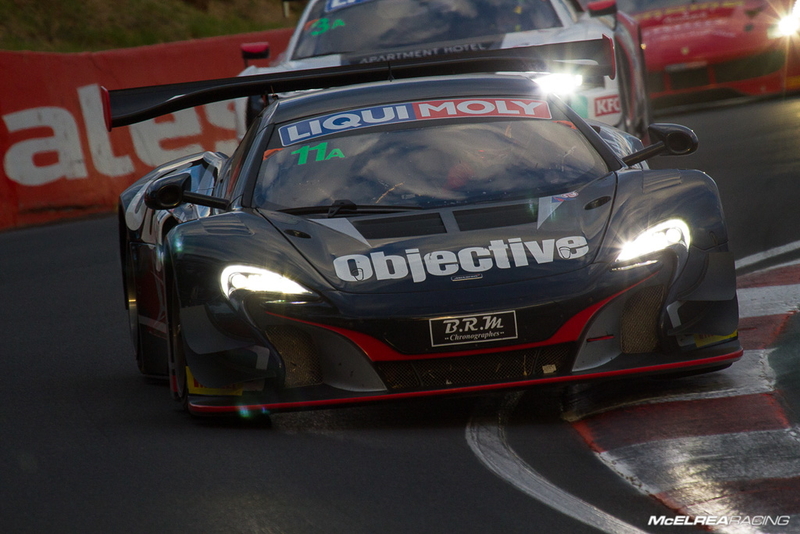 Wallsy took over 'Bruce' the Objective McLaren for the final stint and made good progress but just run out of time to catch the third placed Pro Am car to earn a spot on the Pro Am podium. In the Porsche, Marc took over from Pat for his last stint and continued to circulate 3rd outright and in the lead of Pro Am by 1 minute 20 secs. 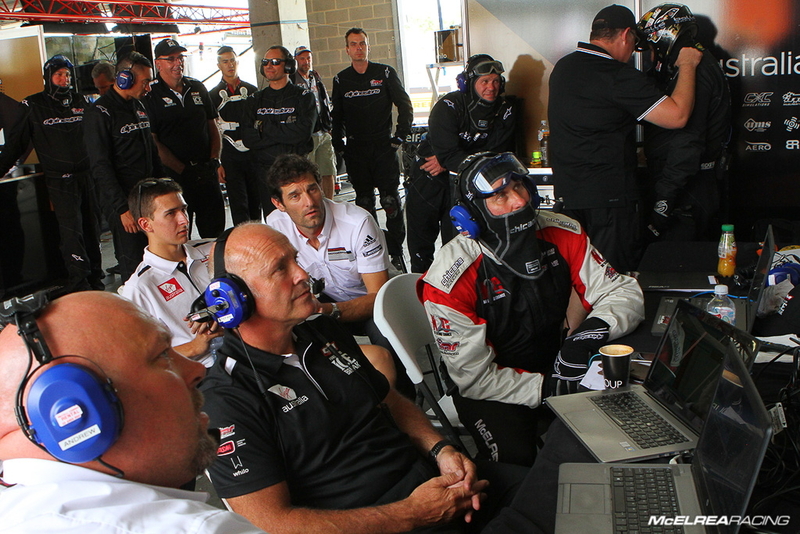 With 80 minutes remaining Marc handed over to Matt for the final crucial stint. We decided to double stint the last set of tyres, which was going to make Matt’s job of maintaining good pace harder, but saved 20 seconds in the last pitstop, allowing us to manage a 30-35 second lead to the charging Bentley behind. 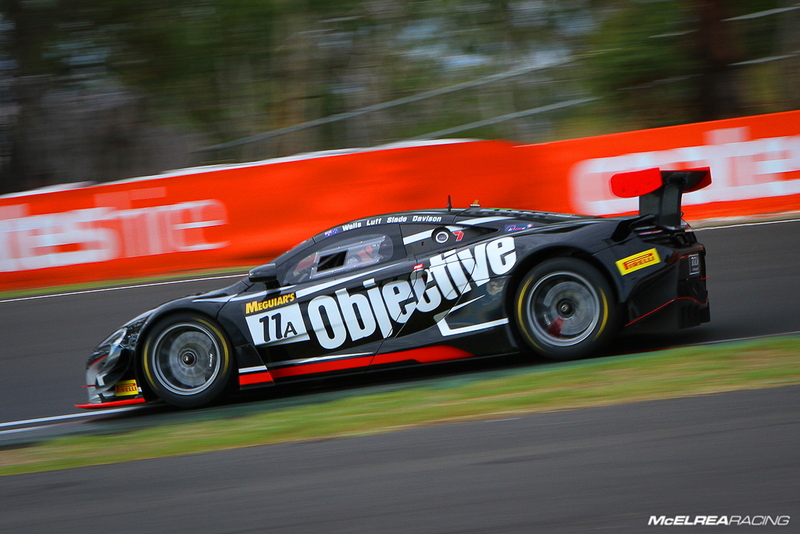 Matt had a heart stopping moment in turn one after slipping off the brake pedal, clipping the back of a Lambo and running up the escape road, then earning himself a drive through penalty. 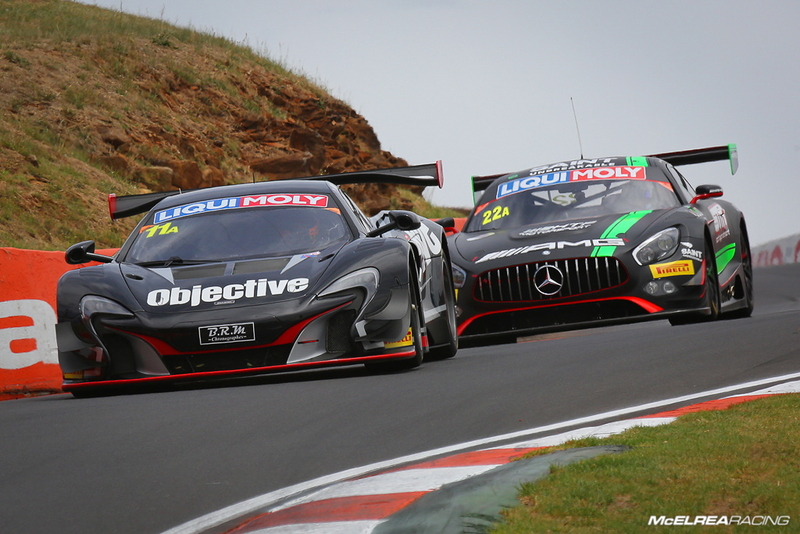 Despite these dramas, we were still holding the lead of the Pro Am class and running a comfortable third outright until Van Gisbergen made a mistake and crashed out of the race handing us second place on the podium along with the Pro Am win! Needless to say it was a mammoth effort to field two competitive A class cars and hundreds of hours of work for the MR team. 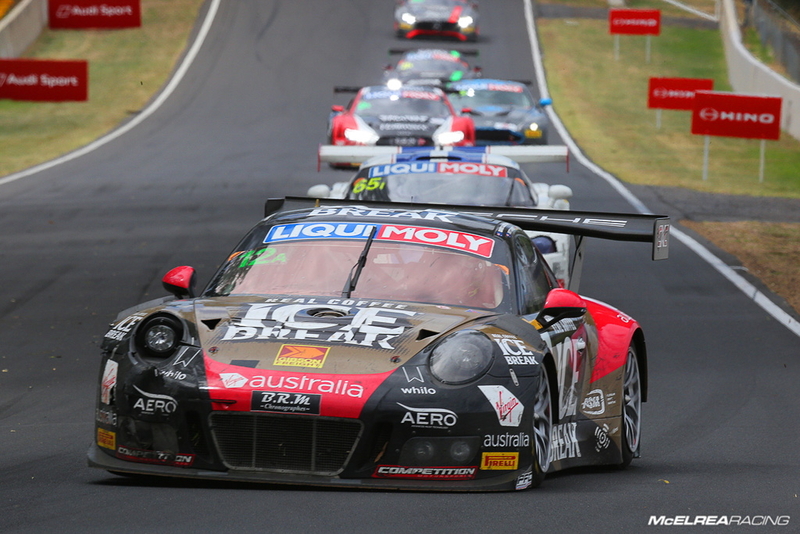 We are gutted for Wallsy and the whole McLaren crew being let down by a $60 part, when they were certainly going to be racing head to head with the Porsche for Pro Am honours and potentially joining the outright podium. Congratulations to CJ, Pat, Marc and Matt on their Pro Am win. We are thrilled to help deliver CJ the win after being a loyal customer since 2013. It was also pretty cool having Mark Webber hanging out in our garage catching up with fellow factory Porsche drivers Marc Lieb and Pat Long as well as his mentoring role with Matt. Thanks to Darin Mandy from Digital Realism for the great shots. 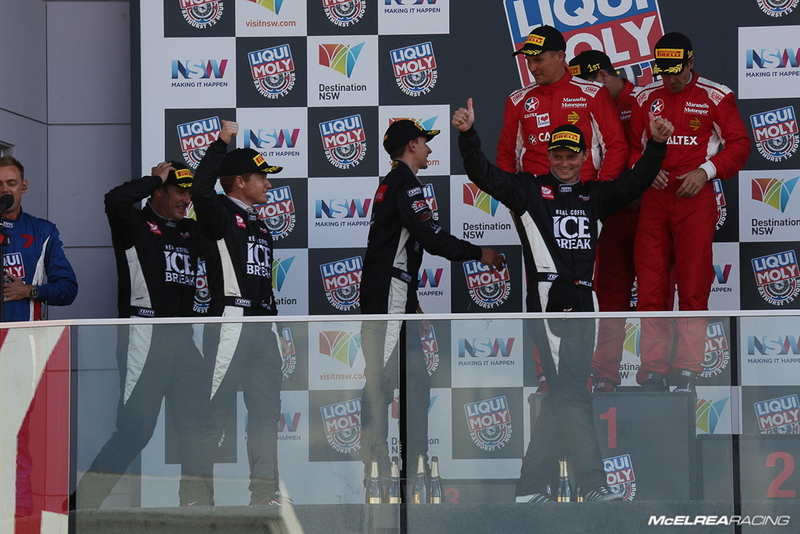 "Guys, congratulations on an outstanding result in the Bathurst 12 Hour with second overall and the Class win in 'Pro Am' with the GT3 R. The results were richly deserved and reflect the commitment, professionalism and quality of your efforts. Against an exceptionally strong field with so many manufacturers having top-class entries it was great to see a result like this. Again, well done, and please pass on our congratulations to all involved." 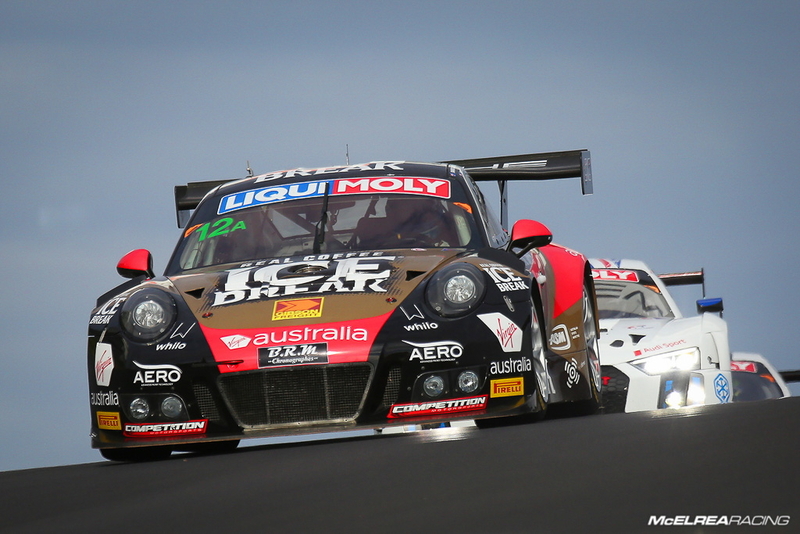 Porsche Factory Driver Patrick Long: Yeah Barry! You guys were on the gas all day. Thank you."